Mike Glavine (inset) roamed the turf at Friedman Diamond as the Northeastern University baseball team worked out one afternoon last week. The former Husky great and current assistant was spending quality time at each base while the players fielded routine ground balls. “Work under the baseball,” he repeated calmly, making sure nobody let one slip into the outfield. It doesn’t take long to notice that the 40-year-old Billerica native has an affinity for developing players and helping them hone their skills. For Northeastern University, there was no better fit than Glavine to succeed Neil McPhee, who is retiring following the 2014 season after a 29-year run with the Huskies. Glavine, a first baseman who established himself as one of the program’s best hitters from 1992 to 1995 under McPhee, was introduced Monday as NU’s next head coach — the 11th in program history. “He came here as a 6-foot-5 tall, lefthanded gangly guy and went out just a tall, 6-foot-5, ripped power-hitting first baseman,” said McPhee. “Just the absolute epitome of an athlete you want in a program. After a 10-year professional career, culminating with a callup to the Mets in Sept. 2003 — joining his brother Tommy in New York — Glavine returned to Northeastern in 2007 to work alongside his mentor, McPhee. “There’s not a lot of Division 1 college baseball schools in the area,” Glavine said. “And to be the next head coach of one of them, it’s a great feeling. It’s a big sense of pride, and I hope that comes out when I talk to people about the university. His tenure at Northeastern will be his first as a head coach, but what Glavine lacks in experience, he compensates for with his knowledge of the game. 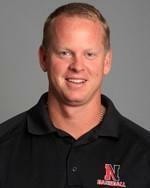 Since he joined the Northeastern staff, he has worked with former assistants Pat Mason, now head coach at Virginia Tech, and Jamie Pinzino, head coach at William & Mary. While Glavine was a player at NU, one of the assistants was Pete Hughes, now at Oklahoma after stints at Boston College and Virginia Tech. “I’ve been blessed to be around a lot of great coaches,” Glavine said. “I’ve learned a lot from them. I can say I learned a ton also from my parents, and that helped me deal with players today and how I treat them. Under the tutelage of McPhee, Glavine has familiarized himself with the day-to-day operations of running a Division 1 program. While on the field, Glavine has been able to develop his own approach. Glavine’s relaxed approach was what prompted St. John’s Prep graduate Dustin Hunt to commit to Northeastern. North Reading’s product Mike Driscoll, who played at St. John’s Prep with Hunt, echoed his teammate’s sentiment. Last season, the Huskies (31-26) advanced to the semifinals of the Colonial Athletic Association tournament, eclipsing 30 wins for just the fourth time in program history. “We’re trying to go a couple of steps further,” Glavine said. Freshman forward Nicole Chaet of Tewksbury scored three goals, leading the Franklin Pierce women’s soccer team to a pair of wins last week and earned Rookie of the Week honors in the Northeast-10. She tallied her first career goal in a 4-2 win against Merrimack, and she scored again in the 87th minute for a two-goal performance . . .
Salem State senior Stephanie Morrison (Beverly) earned Little East Defensive Player of the Week honors after anchoring the Vikings defense in a pair of shutout victories . . . In last week’s wins over Sage and SUNY Canton, Union senior forward Dean Constant of Tewksbury scored a pair of game-winning goals to earn Liberty League Player of the Week honors. She finished the week with six points. Anthony Gulizia can be reached at gulizia.ant@gmail.com.